"Show Me How" Book Review! A little while ago I received an amazing new book written by a new blog friend of mine, Vivian Kirkfield. I just wrote a review for her on Amazon, which I've included here. 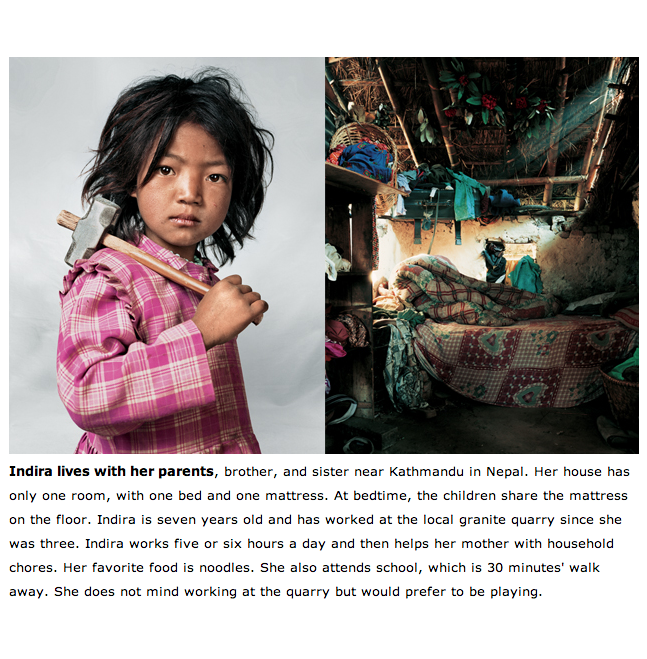 Please consider buying her book ... it really is worthwhile. I'm going to be using it both in my classroom and with my grandson when he's a little older. You can buy her book from Amazon or find it here, as well. If you're a parent, grandparent or teacher of young kids (think preschool to Grade 2) you will have a blast with this book. Show Me How! is one of the best kid resources I've seen in a long while. 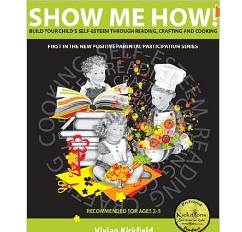 The focus of Vivian's book is to boost your child's esteem through stories, cooking and crafts. Sounds like fun? It is!! 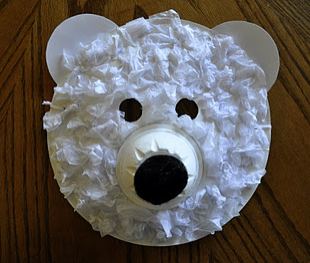 Most children love to muck about with crafts and food, and to combine these two activities with storybooks is brilliant. 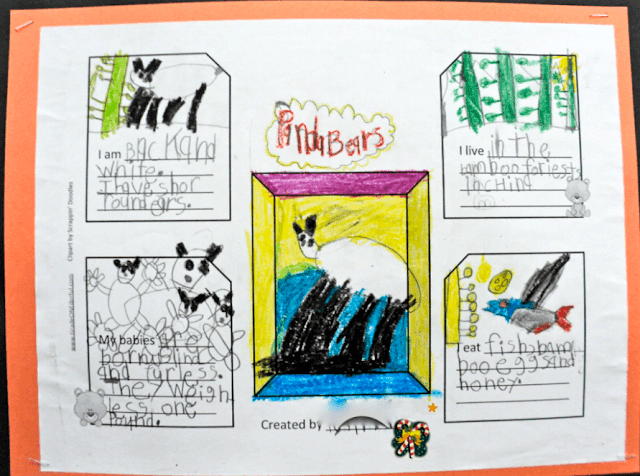 Vivian has done an outstanding job teaming 100 picture books with simple, cheap crafts (e.g., star charts, popsicle stick puppets and paper bag pigs) and healthy snacks (e.g., Smokeball Mashed Potatoes and Soft-Baked Owl-Eyes Pretzels). She features lovely old classics like Mike Mulligan and His Steam Shovel and The Carrot Seed as well as newer texts like David Gets in Trouble and Hurty Feelings). There are six long chapters, each arranged around a particular theme, from "I Can Do It Myself!" 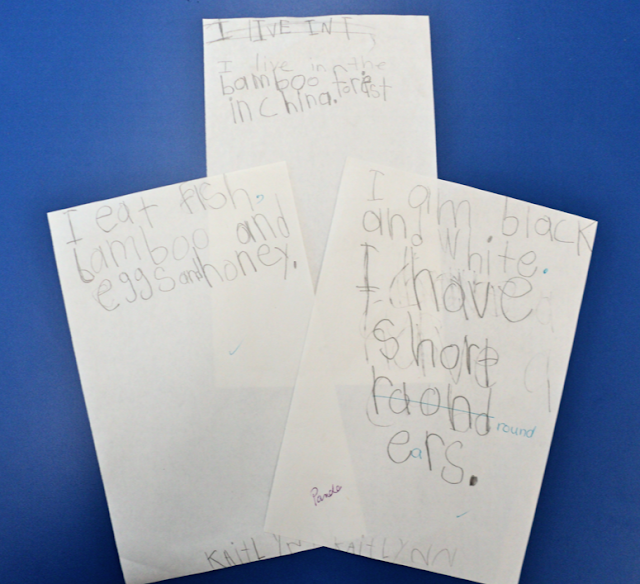 to "I'm Afraid" and "I Like Myself". 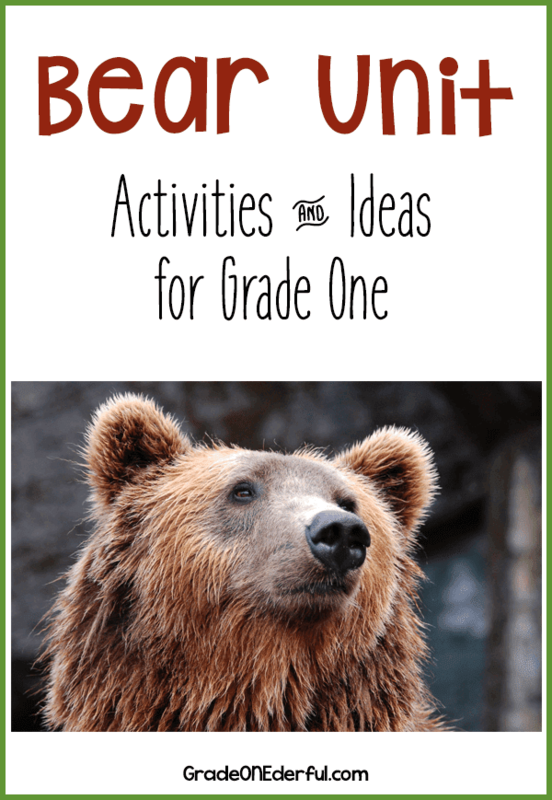 Each story includes publishing information, a brief summary, a positive parenting tip, room for making notes, and of course the accompanying craft and recipe. In addition to a detailed table of contents, there's also a separate index for stories, recipes and crafts, which makes it super easy to find what you're looking for. I'm so glad I have a copy of this book. I'll be using it in my Grade 1 classroom and with my new grandson. The kids made the bears using Crayola Model Magic. You can get it in different colours, but we chose white. 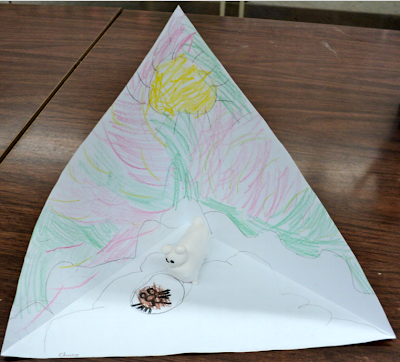 The kids with the panda and polar bears used black markers for the final details. 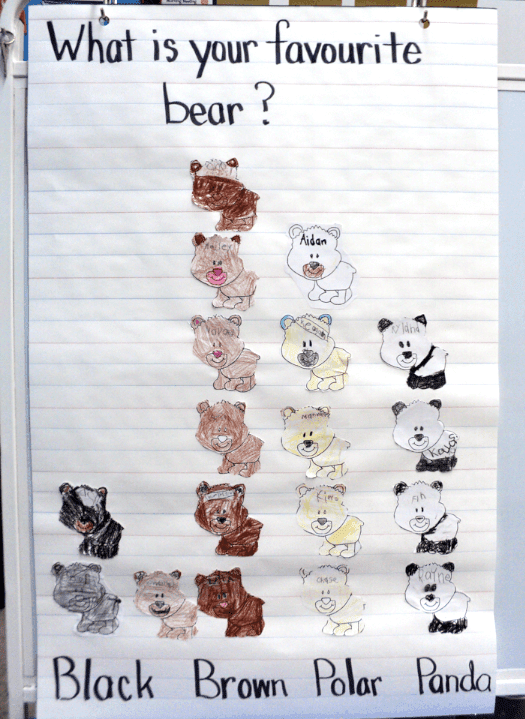 The brown and black bears were painted. We used water colours, but next time I'll splurge and buy acrylics. 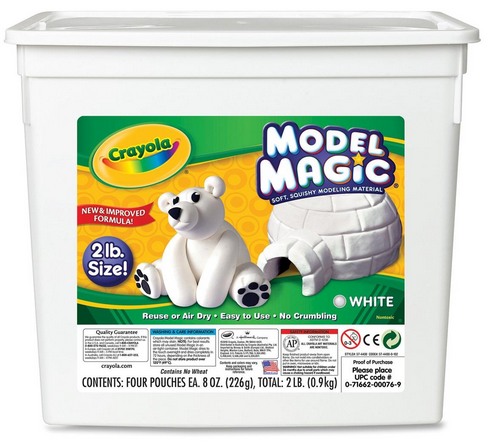 If you've never used Model Magic before, it's definitely worth the money. It's super easy to manipulate, air dries fairly quickly and is lovely and light. A couple of the legs fell off (we just reglued) so next time I might encourage the kids to make their bears from one piece of clay. The triaramas were made from a large 11 x 14 piece of paper, cut down into an 11 inch square. If you're working with kindies or Grade 1s, you'll want to fold the paper for them (from corner to corner as you can see above). Then cut from one corner into the centre. It's super easy. 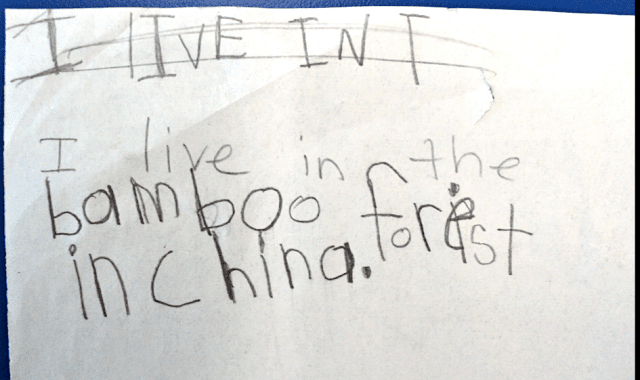 Just make sure the kids do all their colouring while the paper is still flat. When ready, just slide one side of the cut section onto the other side and glue together. 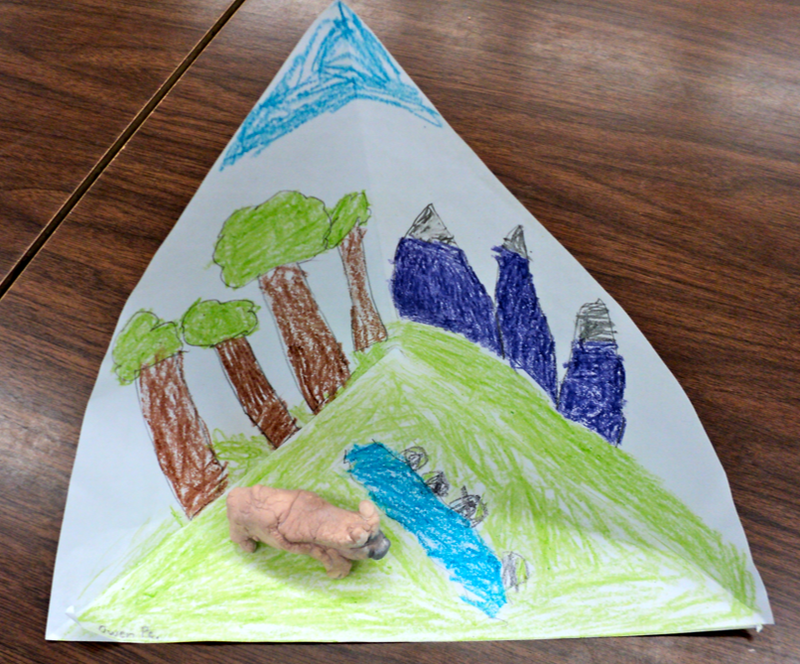 I love doing triaramas (they're way easier than getting everyone to bring in shoe boxes for dioramas) because it's such a fun way to review the needs of bears. I hope you give it a try! I'm linking up with Jessica at What I Have Learned. I'm a big one for setting goals ALL the time! Not that I meet them all, but I love trying. I love the purpose it gives me. 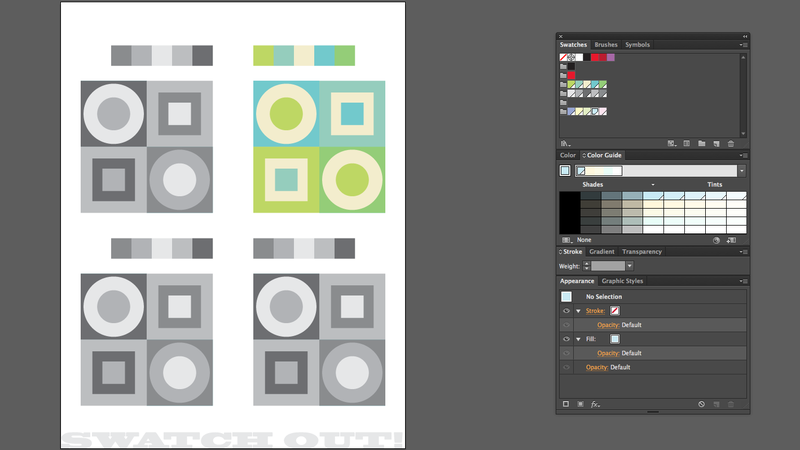 1) To keep working on my Illustrator tutorials and master this new software ... which BTW, I absolutely love!! 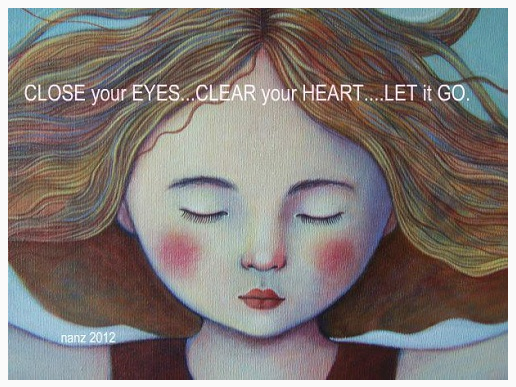 2) To try and not sweat the small stuff. I always get uptight about dumb stuff like an untidy house or not meeting my goals -- ha! I'm going to try hard to let it all go ... and am just going to enjoy my sons, daughters-in-law, husband, mom and new grandbaby. Happy goal setting to you! 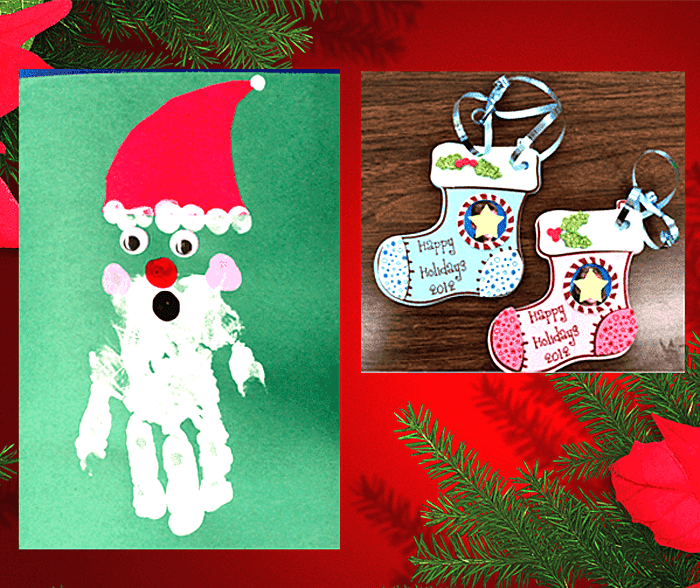 As it gets closer to Christmas you might be scrambling for some quick and easy gifts for your kids to make for their parents, grandparents, or any other significant people in their lives. If that's the case, then you're going to love these DIY gifts! You need to purchase a few supplies but nothing's too expensive and they're all easy to make and beautiful to look at. Not to mention, very useful, too! 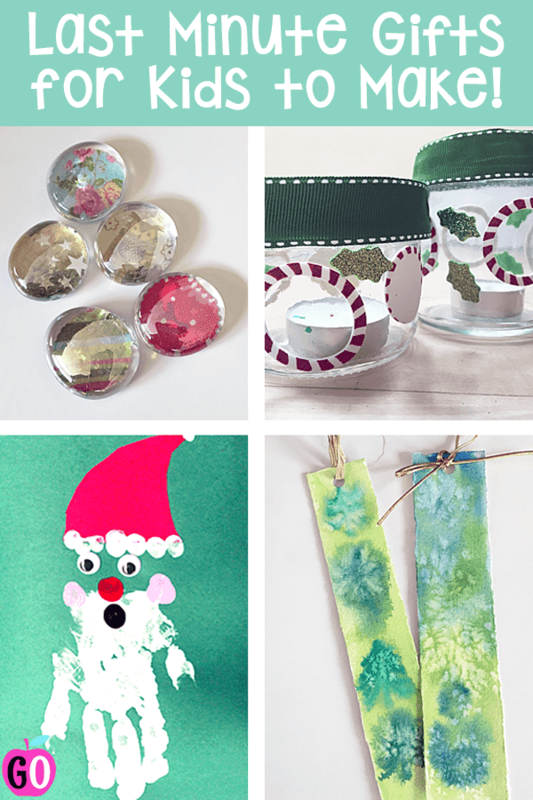 These 4 adorable gifts can easily be made at home with your own children or at school. I think these gifts are perfect for 3 to 7 year olds to make. Aren't these candle holders sweet? These ones were actually made last year by our little grandson when he was 5 years old. Self-stick foam Christmas stickers: I usually buy mine at Michaels but Amazon has lots, too. Just be sure they're not too big or they won't stick as well to the jar. Glue gun: At school I always use the little glue guns because they don't get quite as hot as the big one. Just let the kids stick the stickers to the jar. 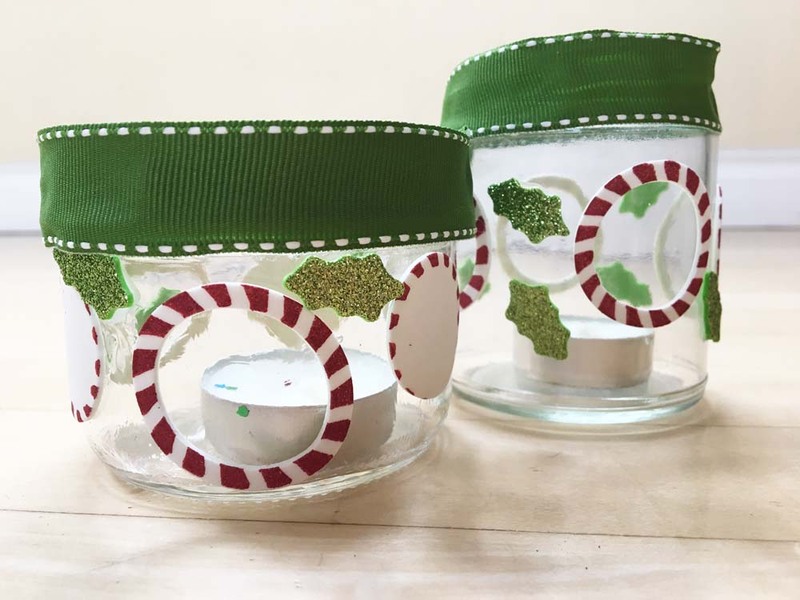 When it's decorated then an adult will need to hot glue the wide ribbon to the top of the jar. Pop a candle in and you're done! I made these this morning and it only took me about 10 minutes to make all five magnets. This project would be super easy to do in the classroom and the materials are cheap enough that you could let the kids make a few magnets each. 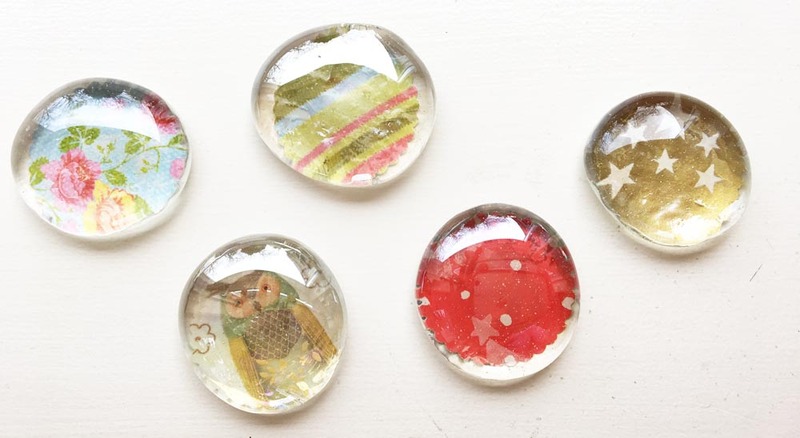 Translucent glass pebbles: Use 3/4" to 1" in diameter with a flat bottom and round top. Circle hole punch: This is optional. But if you use one, make sure it's the same size or slightly smaller in diameter than your glass pebbles. Mod Podge: Be sure to get the gloss finish. 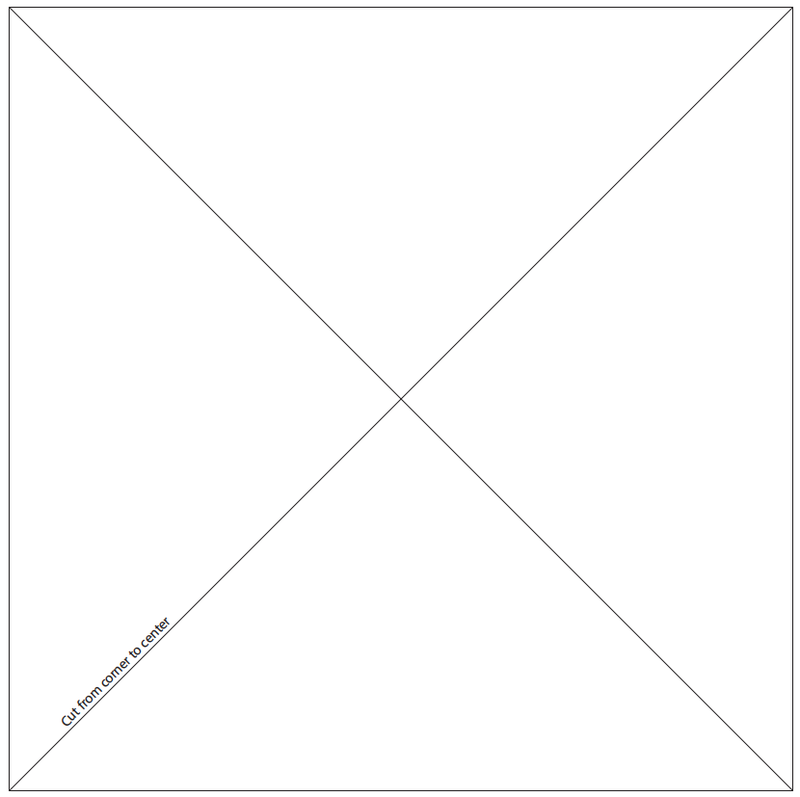 Scrapbook paper, high quality wrapping paper, or the childrens' artwork (a piece they don't mind cutting up). Magnets: You need something small but powerful if you want to turn these into fridge magnets. 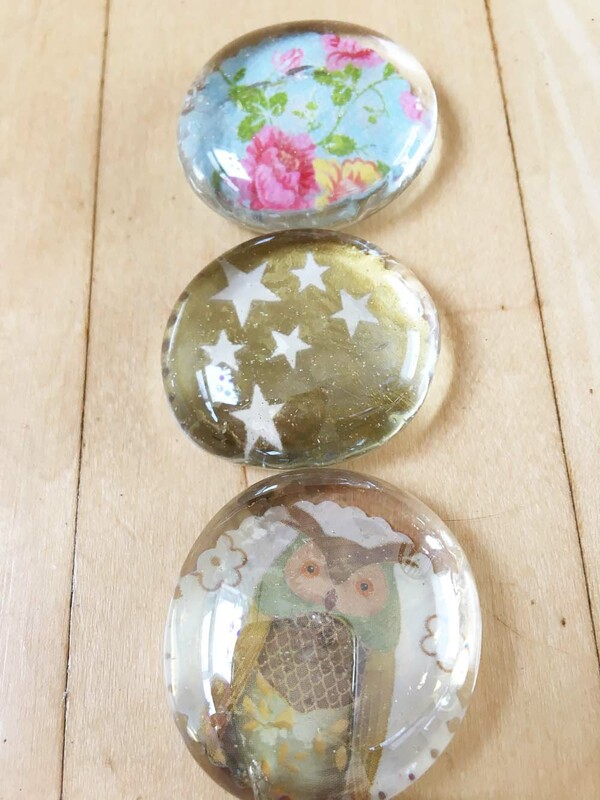 Add some Mod Podge to the top of the circle cut-out. I just used my finger. You want a light coat that covers the entire right-side of the circle. 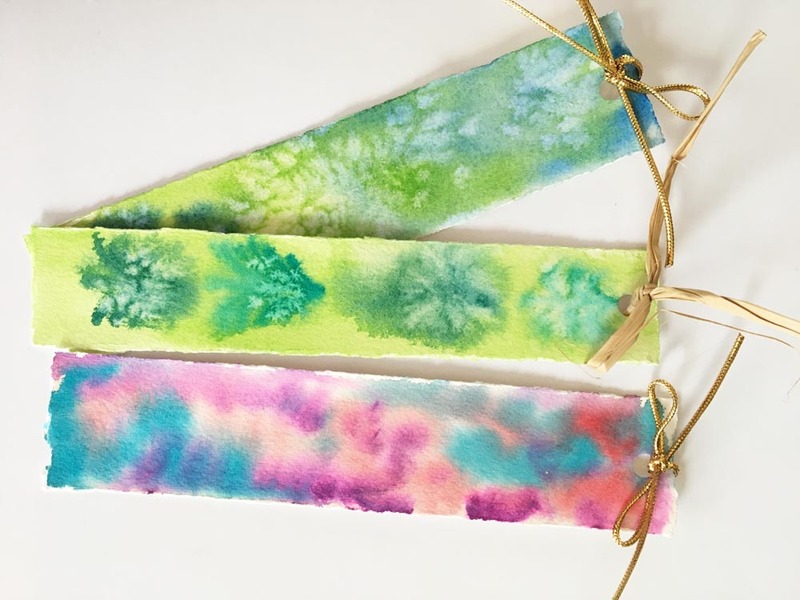 Watercolor bookmarks are so much fun to make. There's really nothing that can go wrong with these. They're quick and easy to do, and they only take a little bit of drying time. Watercolor paper: I like to use Arches cold press, 140 lbs. I buy single sheets at one of our local art shops, but if you don't have access to a shop then it's easy to order on-line. The paper can be a little expensive, but the nice thing is you don't need a lot. Watercolor paints: I just use a cheap set of Prangs that I bought at Michaels. They actually have amazingly bright colours! If you're doing this in the classroom, then I would buy just one set and call over two or three kids at a time to paint their bookmarks. Tear your paper into the appropriate size. I like the torn look, but obviously you can cut them to size with scissors if that's your preference. Two of mine are 1.75 x 7.5 inches and one of them is 1.5 inches wide. Wet the bookmark completely with your brush. Don't leave any dry spots, but also don't leave puddles. Use your brush to add some colours of your choice. Be sure to use lots of paint and not much water and watch the colours blend together. You don't need to paint a specific image; they look great with random drops of colour. If you'd like to add some interesting texture, then sprinkle a bit of table salt on the wet paint and watch what happens. Leave it there until everything is dry. When the bookmark is dry, brush off the salt, punch a hole in one end and tie a bow with your choice of raffia or gold cord. Skinny ribbon would probably work well, too! I always like hand print crafts because they make such lovely keepsakes. Paint your child's palm and fingers with white paint. 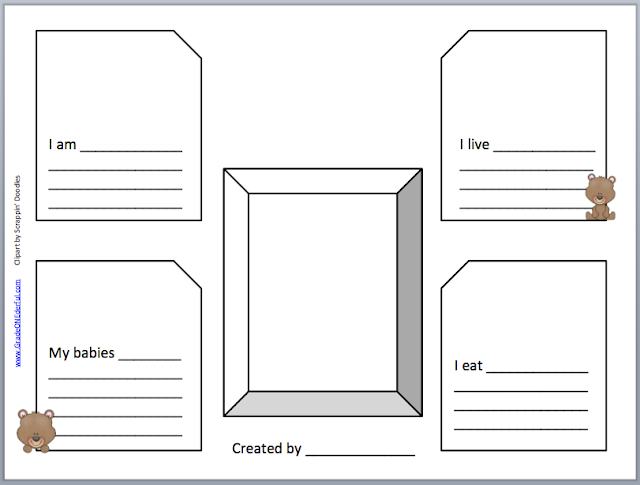 Place their hand on a folded green piece of paper (I usually use construction paper). Cut out a little red hat (I always let the kids free-form it). When the paint is dry glue on the hat. Use fingers to dab on the pink cheeks, black mouth, red nose, and white fluff on Santa's hat. BTW, if you're interested in the little stocking ornaments, they're made of foam and came from Michaels. I did an on-line search and couldn't find the same ones, but Oriental Trading has lots of Christmas ornament kits you might like. You might also like this roundup of Christmas gifts. WE ALSO MADE GINGERBREAD HOUSES! 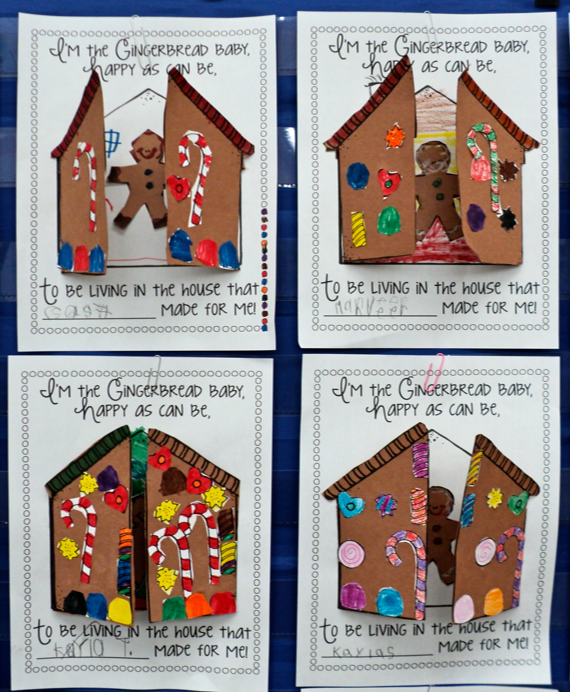 One of the Christmas activities we did last week were these adorable gingerbread houses. You definitely need to purchase this from Tangled Up in Teaching. 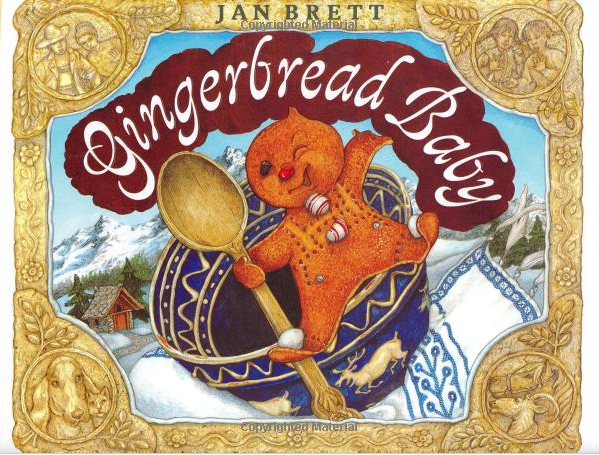 Before we made the houses, we read the Gingerbread Baby by Jan Brett. When the book was finished, I gave the kids a piece of paper full of ornaments. 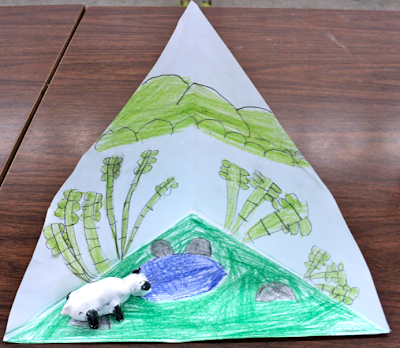 They chose a selection to colour and then glued them onto their little houses. 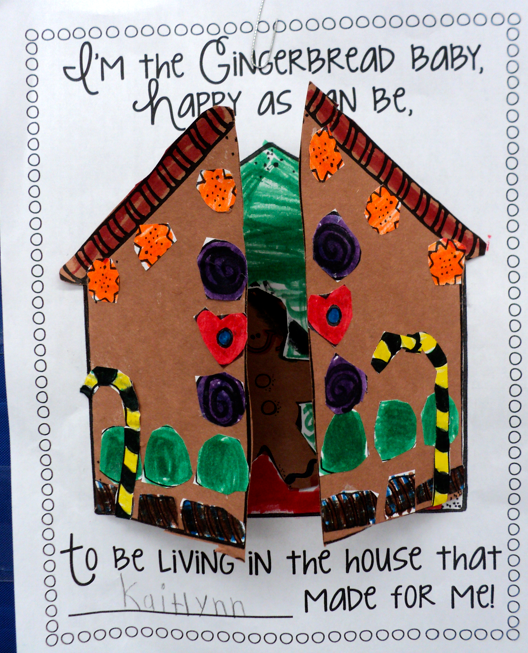 The house was then glued onto the sheet of paper you can see below. 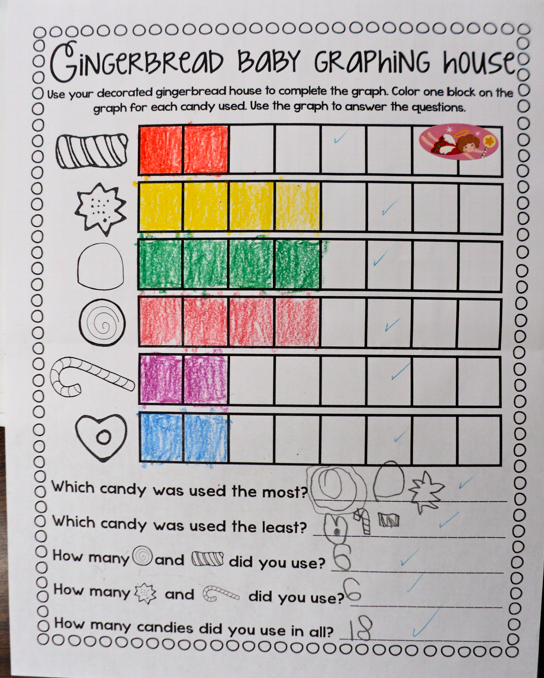 It was a fun, easy activity that also involved some graphing (see below). And, dare I say, it took my kids quite a while to complete (most of the morning) so it's one of those perfect lessons during the last crazy week before Christmas. 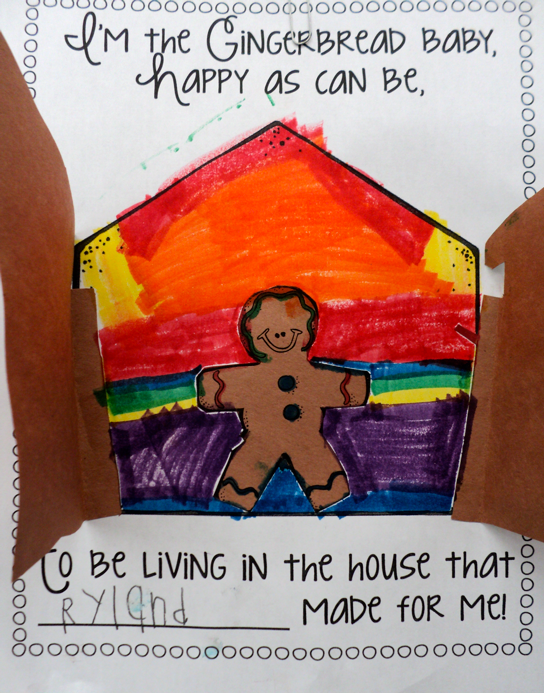 If you'd like to make these sweet houses you'll need to buy it from Tangled Up in Teacher ($2.75). Introducing one of my favourite Christmas stories for kids! 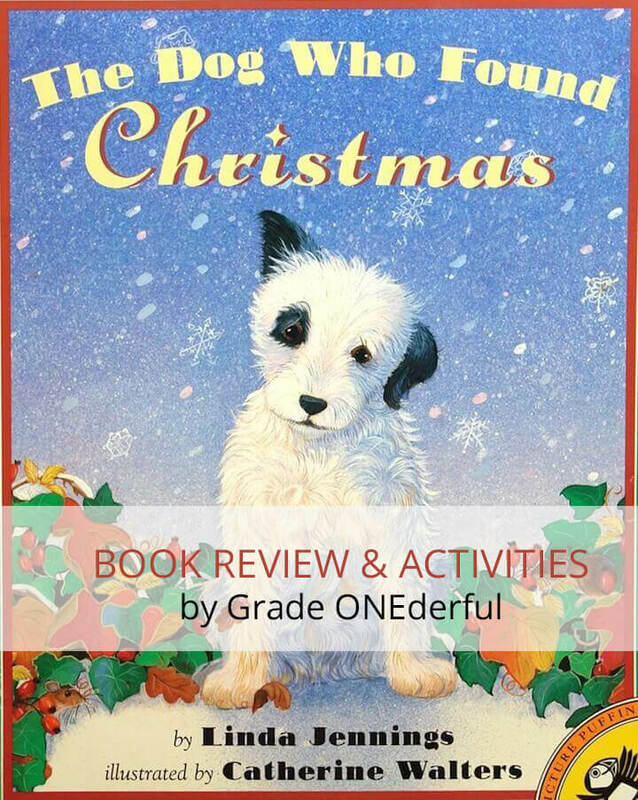 I'm excited to share with you one of my all-time favourite Christmas books! "When Buster was a little puppy, he had to leave his mother and go to a new home. At first, his new family petted him and called him cute. But as Buster grew from a puppy into a little dog, things began to go wrong." 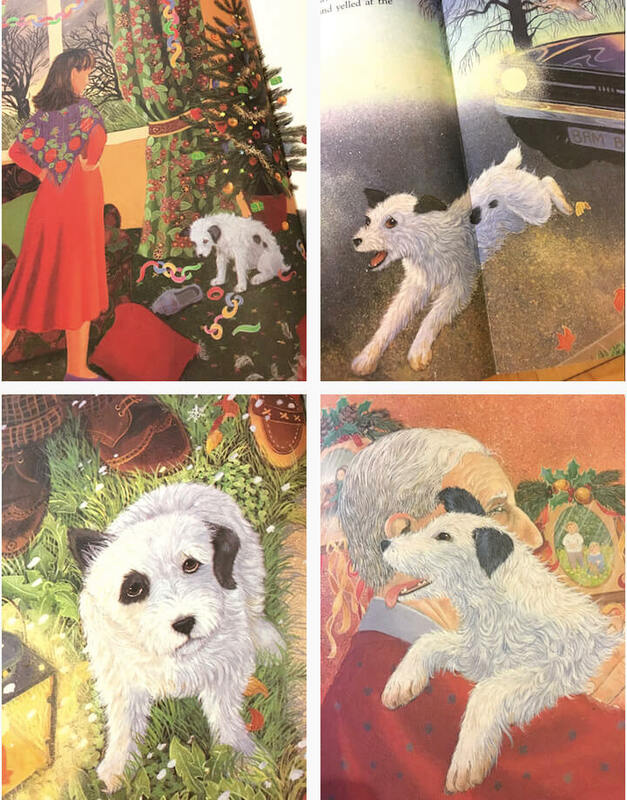 This special book is all about a sweet little dog (just look at that face!) called Buster, who grows up to be not quite the adorable puppy he was when he was little. His family abandons him on Christmas Eve. Yes! This part is definitely sad and all the kids are wide-eyed and worried at the beginning of the book. But it has a VERY happy ending and is worth reading. This is a story that young children can easily relate to. Everyone feels so sad for Buster when he's heartlessly dumped on the side of a road. 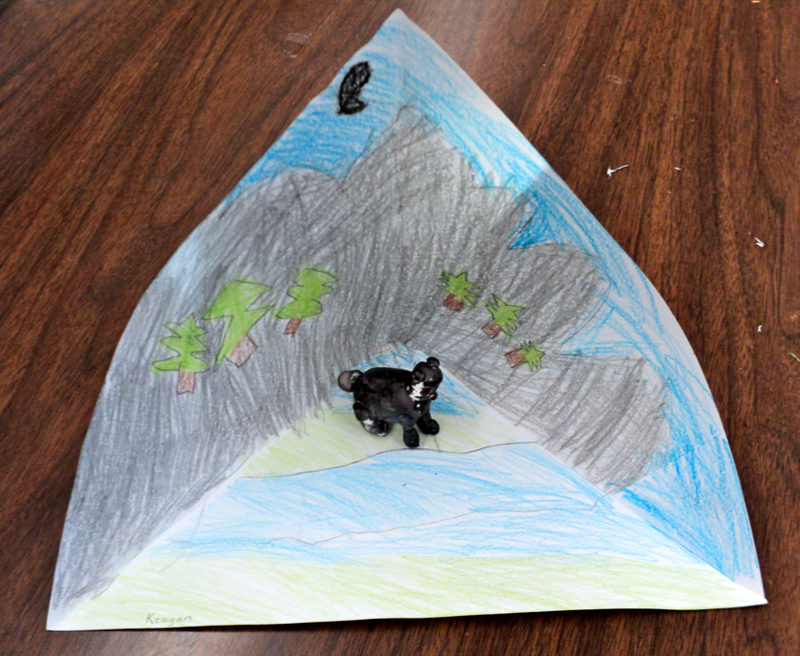 I think it's important for kids to know what can happen to animals if they're not properly loved and cared for. This book is an excellent springboard into discussions about having compassion for all creatures. Grand Conversation: Talk to the kids about what the family could have done instead of abandoning their pet. There are so many more humane solutions and you'll be surprised at how many great ideas your kids will come up with (i.e., learn how to be a better pet owner, train Buster how to behave, give him to someone else, sell him). After your discussion you could have your students draw a picture showing a kinder solution to Buster's situation. 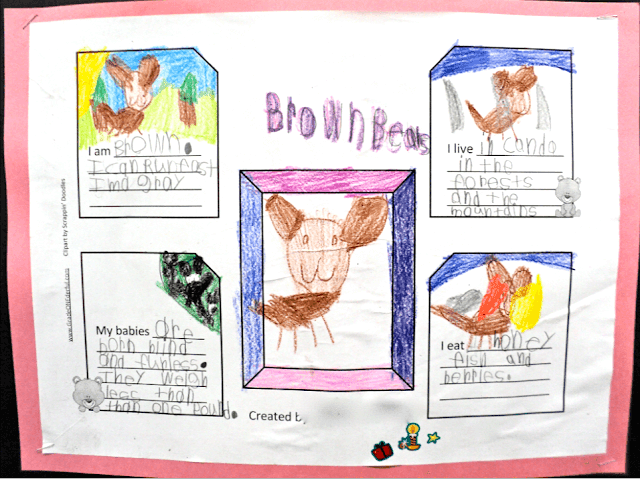 SPCA Field Trip: Phone up your local SPCA and arrange a field trip OR invite them into your classroom to talk to the kids about the responsibilities involved when looking after a pet. The American Kennel Club has 101 suggestions for being a responsible dog owner. The BC SPCA has a number of free lessons you can download. There's one for K-2 students called Kindness Counts which focusses on empathy, caring and respect for animals. Cesar's Way has lots of quick, easy, and healthy dog treat recipes. My dog would go absolutely crazy over the frozen peanut butter yogurt treats. If you're trying to train your dog, Your Dog Advisor has collection of the best treats ever! Looking for more Christmas ideas? 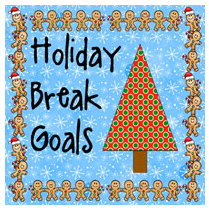 Be sure to CLICK HERE for tons of ideas! 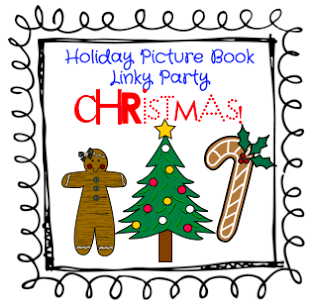 You can also find some more great Christmas books by clicking on the button below (this is a linky by First Grade Found Me). 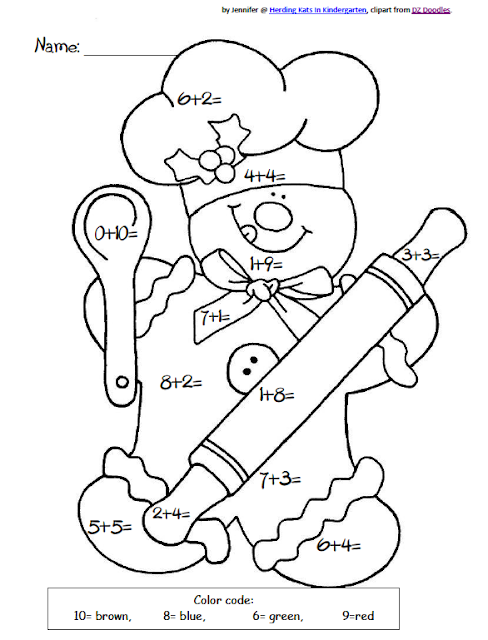 Like a lot of teachers I'm also doing a gingerbread unit. Ours is for the last week of school only but I'm very excited about it cause we all know how much fun it is! For our Xmas concert next week our class is teaming up with our buddies in Grade 1 and 2 to sing "The Gingerbread Man" by Cookie Monster. This song is so darn cute and my kids are LOVIN' it!! 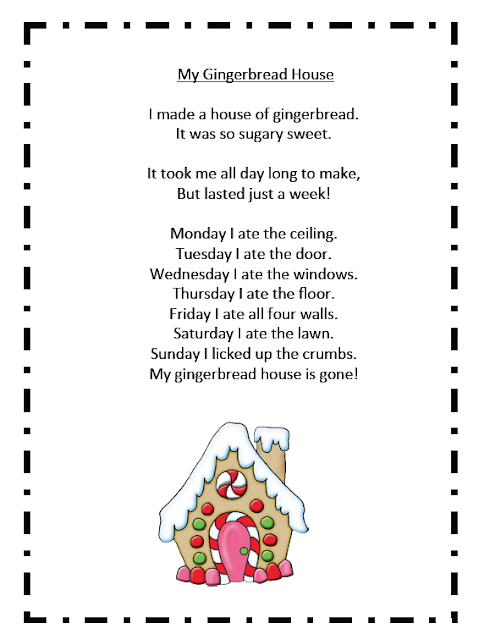 This is our poem for the week (click on image). 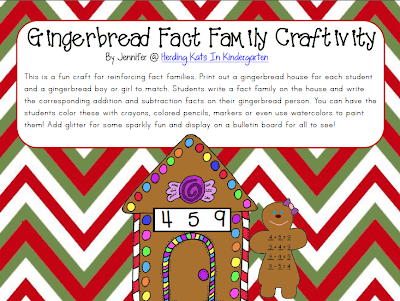 You can also grab this gingerbread fact family activity from Herding Kats in Kindergarten. Thank you, Jennifer!! 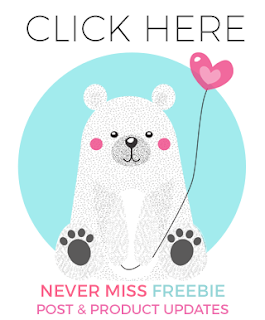 If you click on the image it will take you to her TpT page (it's free). 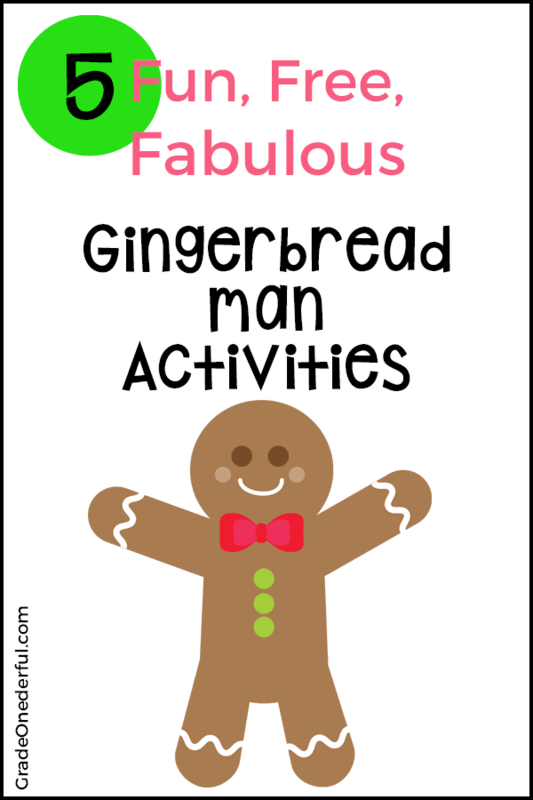 Looking for more gingerbread fun? 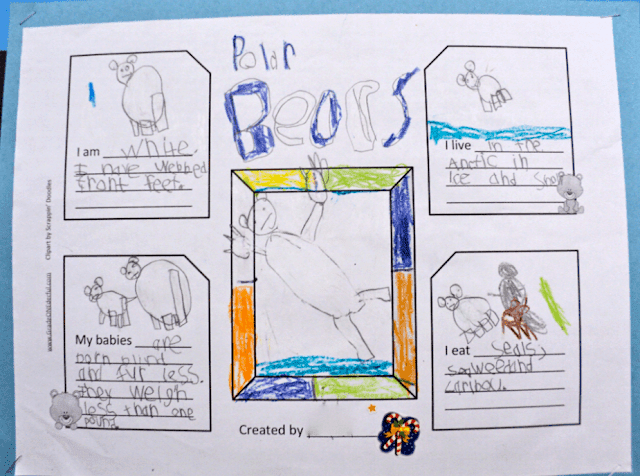 We've been hard at work on a bear unit. Finally they turned out these glorious pieces! 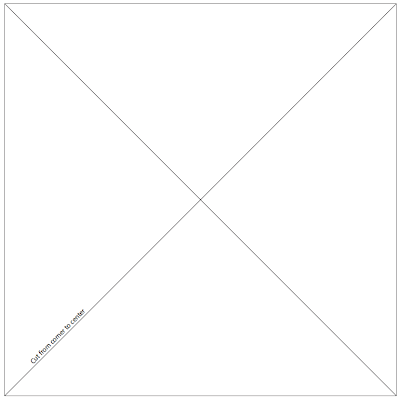 You can grab your own copy of the template we used by clicking on the image below. 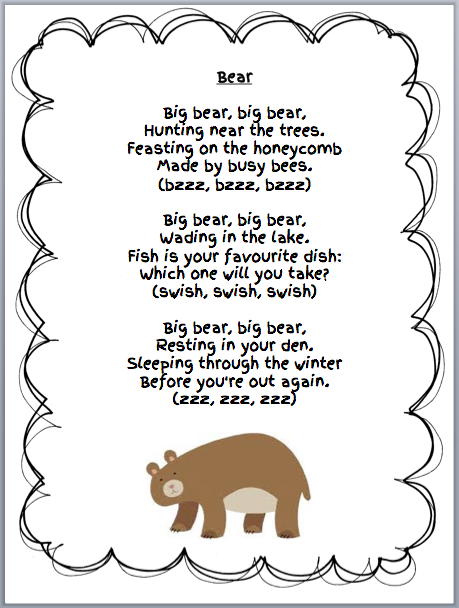 Here's the cute poem we worked with last week (you can also click and grab). 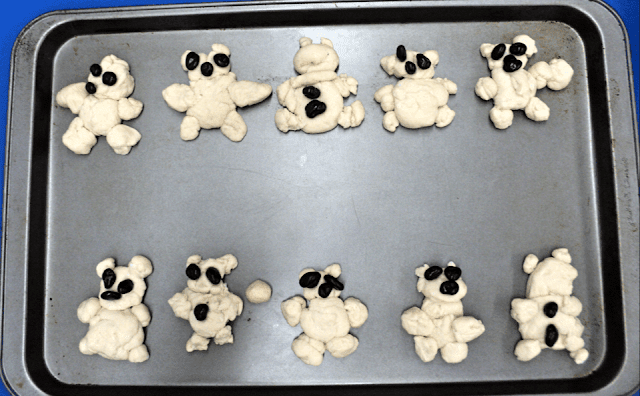 We also made buttermilk biscuit bears. As you can imagine, this was a HUGE hit! And it was super easy. All I did was buy two packages of Pillsbury buttermilk biscuit dough and give everyone a chunk of dough (one pre-cut biscuit per child). 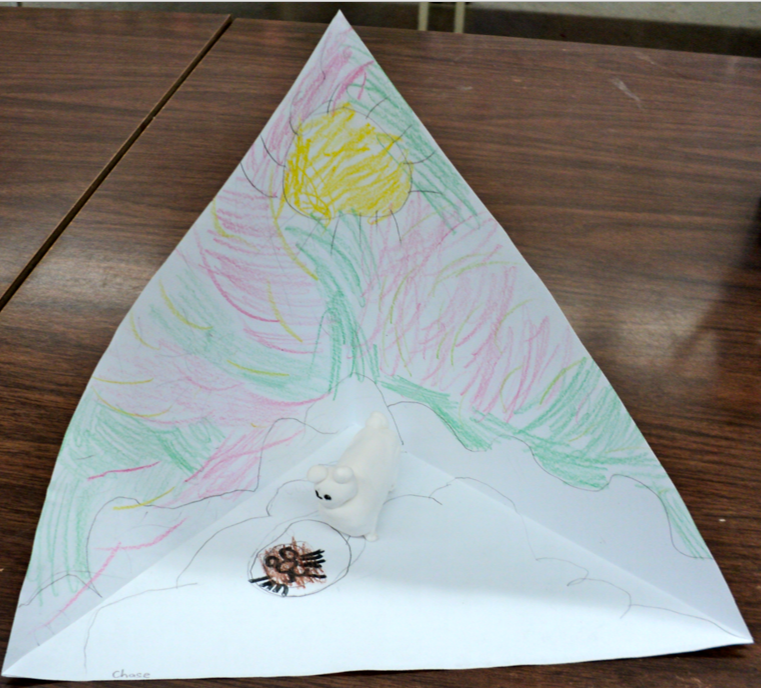 I had to show some of the kids how to shape the bear, but most of them were in there like dirty shirts. The only thing I would do differently is use M & M's or smarties for the face. I used chocolate covered raisins and they didn't work out all that well. I took pictures of everyone holding their biscuit bear. 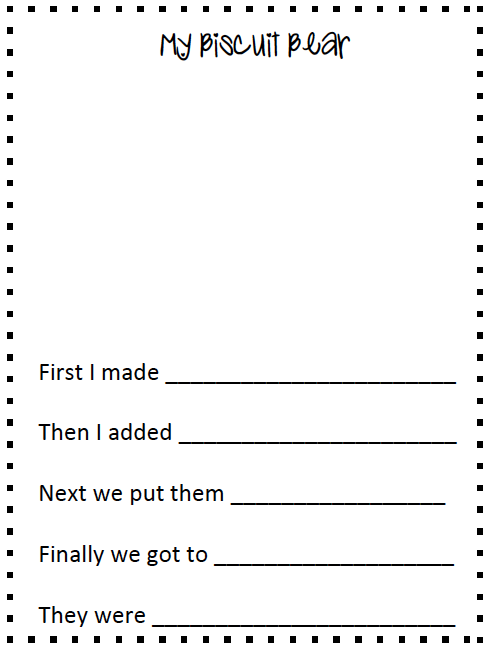 So tomorrow the kids are going to glue their photos to a piece of paper and write about the baking process. Click on the image to grab. 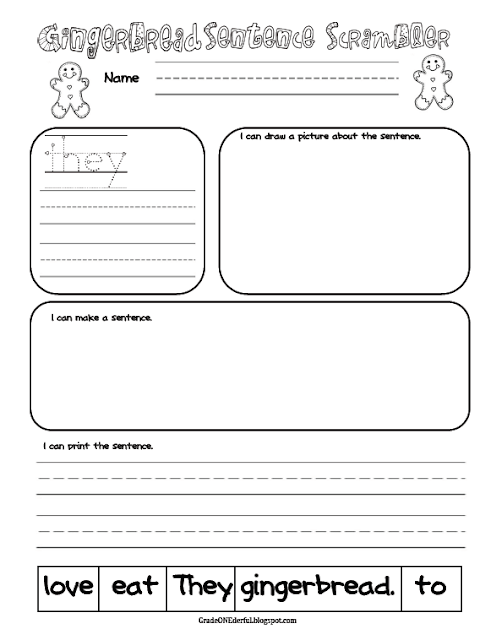 There's also a blank version for the stronger writers in your class. Hi Everybody! Brrr...it's actually starting to get cold now in my part of the world. I was half-expecting to see snow on the Malahat. We can see the tippy-top of the small mountain range from our kitchen window. But nope! Not yet. 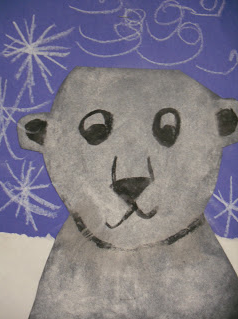 It's also Perfect Picture Book Friday! Susanna hosts this fun linky once a week. 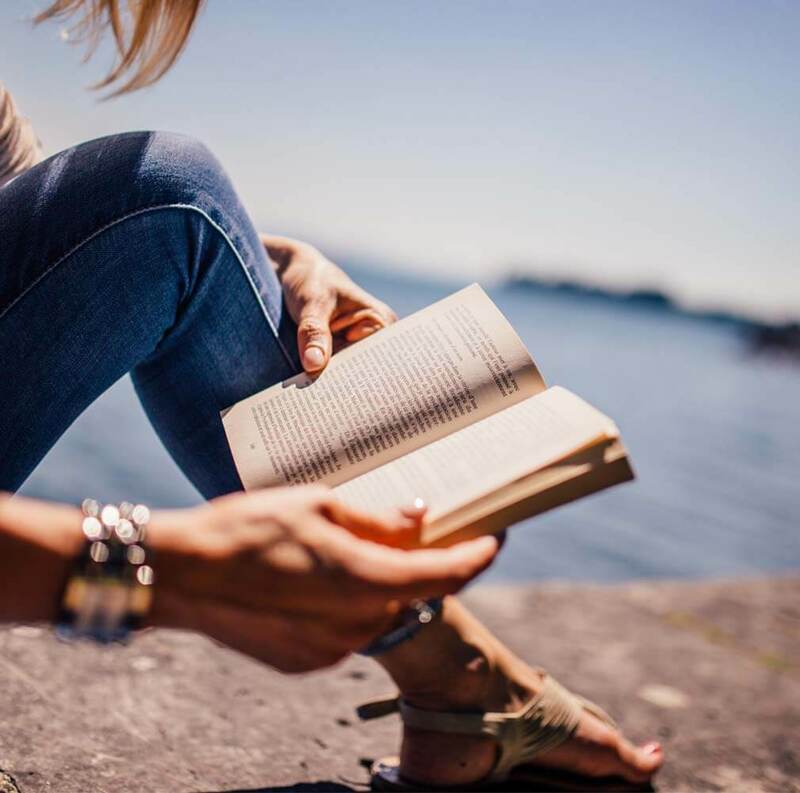 You can find TONS of other books on her blog. Summary from Amazon: When Bessie decides to explore a frozen ice ship one morning, she finds a new playmate—a baby polar bear. 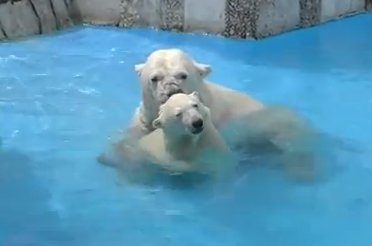 Snow Bear and Bessie are instant friends, but Bessie’s brother and Snow Bear’s mother are worried. 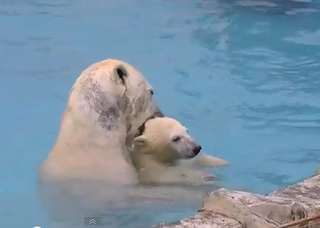 The grown-ups wait and watch the little ones play until something happens that will break up the happy pair. 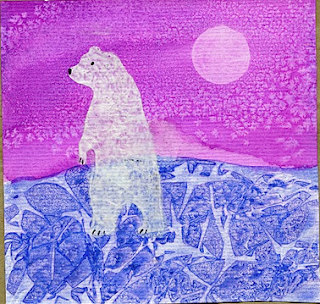 With simple text and lavish illustrations, this Arctic picture book will warm readers’ hearts. Why I Like It: This book totally reminds me of Blueberries for Sal. 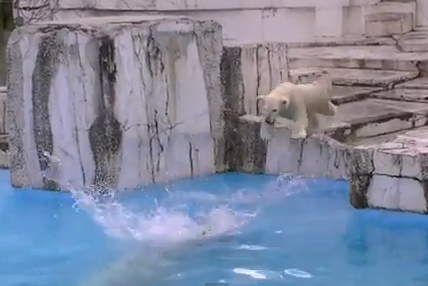 While the story is improbable (a child playing with a real live polar cub), it's still charming, winsome and full of drama. The paintings are exquisite and realistic. 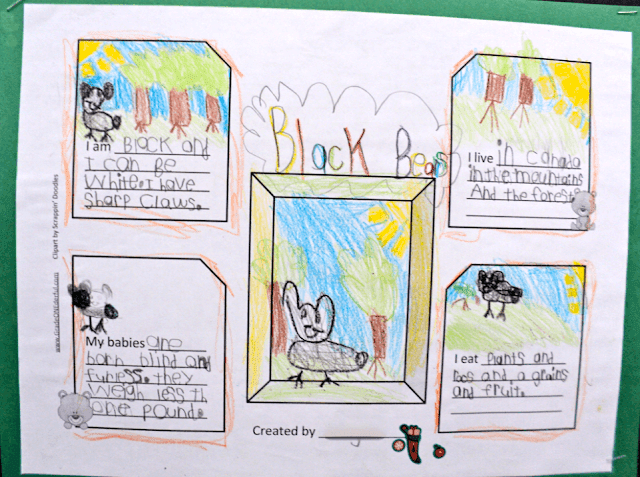 It also leads to great discussions about the similarities between bears and people (i.e., the love and desire to protect). The pics below are from the video. It's definitely worth showing to your class. 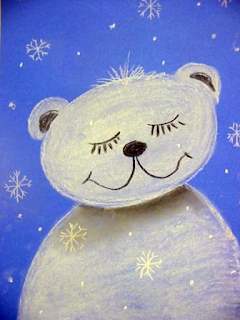 This cutie below is from Artventurous. I just had to grab it and update my post. I LOVE it! Be sure to pop over to this fabulous art blog. She's brand new and has some GREAT stuff! 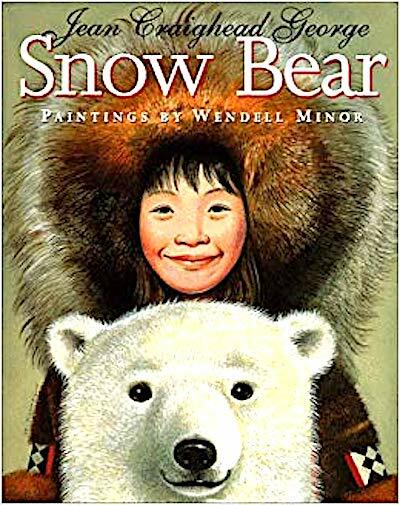 Interested in more books about snow bears?